Out of the Furnace is in my eyes the most perfect result of production. 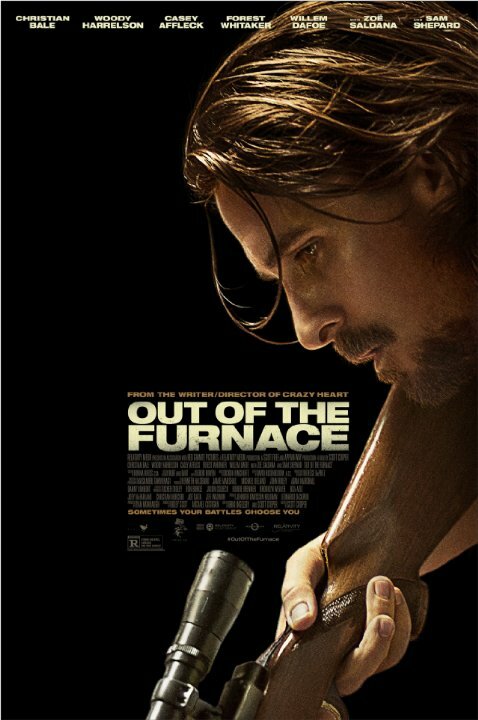 It is very difficult to get the right people to fill the right parts, but the producers of Out of the Furnace hit every mark right in the heart and made, in my opinion of course, a very engrossing picture, because there is not a single miscast or wrongly chosen person that worked on this film. The direction by Scott Cooper is sometimes chilling, sometimes enlightening. I loved the tone that the film provided and how it maintained it constantly throughout its length. From the opening shot this film provides a sense of dread and shows it unflinchingly. I am so impressed by the visuals and masterful storytelling that are the result of this brilliant director. The actors are all also perfectly casted. Woody Harrelson gives the best performance I've ever seen from him in a gritty, abusive, disgusting character that just talks in slurs and almost lets off an aura of evil whenever he is on-screen. Christian Bale is� Christian Bale. You don't need me to tell you the guy is a fantastic actor. Casey Affleck also really comes into his own, giving a much more visceral and heavy performance than usual. He definitely breaks out of that low-key and fragile character he plays in most films, even erupting into a rage and showing his true colors. Two amazing performances from two amazing actors that deserve Academy Awards for their portrayals this year. Speaking of colors, the production design in this film is great. Everything looks bleak and dirty, like in Prisoners, only much more legitimate. The slow pace accompanies the slow tone. Some like it and some don't, I absolutely love it at times. That way we get to breathe in and actually understand that this isn't a story about vengeance when we reach the third act. It's a question of right and wrong, which is shown again and again in its deeply troubled characters. With the slow pace and tone in mind, there are some gripes, though. The screenplay gets very clumsy at times and fails to pick up where it left off. It misses a chance to do more with its characters and rather lurks in the shadows of homes, letting Harrelson get all the attention when it gets more dangerous. I was very disappointed with the way they chose to edit and structure the film, at times leaving way too much up to the viewer to fill the silences. Plus, the finale and ending were very clich�d and underwhelming, bringing this film down for me to a much weaker grade than I had hoped to award it. In the end, Out of the Furnace does a very good job at delivering a solid thriller experience, but nevertheless, starts to crumble to the basic stereotypes and a deadbeat ending in the final act.